At Imports Unlimited, Inc., we are professional car mechanics first. Our passion is working on cars, and though we have been in business for nearly 40 years, we never tire of a Jaguar challenge! 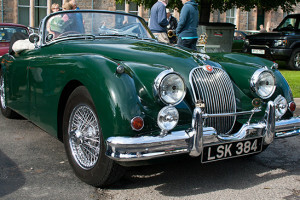 We love cars and we love to restore vintage Jaguars to their original condition. Vintage Jaguar restoration makes all of us better at what we do. Our customers invariably appreciate looking at our latest restoration projects. They understand there is a direct line between how we treat a 50 or 60 year old Jaguar to how we treat their modern luxury car. For information on our vintage Jaguar restoration services, please contact us and we will be happy to offer you quotations or to view your particular Jaguar project.